This week, Your News to Know rounds up the latest stories involving gold and the overall economy. Stories include: Why gold prices are headed higher in 2018, is it the season for gold, and China maintains gold reserves at 59.24 million ounces. Gold is expected to head higher in 2018 on the back of multiple factors, say analysts. Bart Melek, head of commodity strategy with TD Securities (TDS) Inc., and Phil Flynn, senior analyst with Price Futures Group, are among the market watchers expecting a bull run in 2018 as U.S. economic difficulties and improved demand from around the world combine to paint a favorable picture for the metal. As seen on TheStreet, Melek expects real rates to stay largely in place, telling Kitco that the Fed might only hike rates once next year. He added that President Trump’s nominee for the next Fed chair, Jerome Powell, is likely to continue the Fed’s dovish policy with ongoing concerns over the lack of inflation in the U.S. Improved physical demand from India and China, two key buyers of the metal, will also help gold reach new heights next year, said Flynn. Demand is expected to be supported by investors who worry that a big correction in stocks might be coming, as gold is a primary hedge in such a scenario. Flynn said that a correction would further benefit gold, as the booming stock market has made the metal undervalued. The analyst also pointed to the launch of bitcoin futures as good for the yellow metal, as it will strengthen gold’s role as an alternate currency. Robin Bhar, metals analyst with Societe Generale, sees conflict in the Middle East, terrorism concerns around the globe and central bank bullion purchases as supportive factors that could boost gold in 2018. While TDS expects gold to average $1,313 an ounce next year and $1,325 in its fourth quarter, Flynn sees gold reaching $1,400 in 2018 with potential for $1,500. Macquarie offered a similar prediction, stating in a recent report that gold could hit $1,400 an ounce in 2018 due to a weakening dollar and political risk factors. Is it the season for gold? A recent study by the National Retail Federation (NRF) suggests that strong jewelry buying during the holiday season could translate to gains for the gold market. The NRF expects holiday sales to total between $678.75 billion and $682 billion, with 23% of the people surveyed stating that they would like to receive jewelry as a gift. Last year saw an increase in jewelry buying in the U.S., with $32.9 billion worth of jewelry bought compared to $31.5 billion in 2015. The World Gold Council (WGC) also expects strong jewelry sales in the U.S., citings its report that shows western gold jewelry demand rose 4% compared to the third quarter of 2016. Juan Carlos Artigas, WGC’s director of investment research, views strong jewelry demand in the U.S. as an example of how gold could do well in an improving economy, with customers having more disposable income to purchase expensive jewelry. 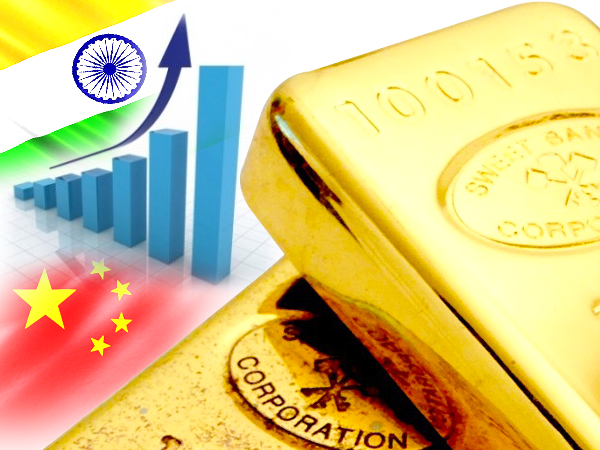 A recent Newsmax article states that China’s central bank said that the country’s gold reserves remained unchanged in October, staying at 59.24 million ounces from the previous month. Gold imports in India, however, the world’s other top gold buyer, fell compared to last year due to a build-up of inventories ahead of the new national tax regime. An insider with Newsmax placed inbound shipments of gold to India at 66.8 tons in October compared to 96.7 tons during the same month last year. While lower, this figure still places imports for the first 10 months of 2017 at 777.1 tons, a 91% increase on the year. Saurabh Gadgil, chairman of PN Gadgil Jewellers Pvt. Ltd., said by phone that demand in October was strong, but that the Indian market will need to recover after the imposition of a goods and services tax in July and a brief anti money-laundering act in August.